Cashflow, Investing for Retirement, Real Estate Investors, Commercial Real Estate, Real Estate Investing, Financial Education, Real Estate, Multifamily, Real Estate Investment Education, First Time Real Estate Investing, Buy & Hold Real Estate Investing, Multifamily Investing, Real Estate deals, Real Estate Investing Education, and Multi-family residential. You will have access to a room full of over 1000 deals of experience to help you put your deal together. 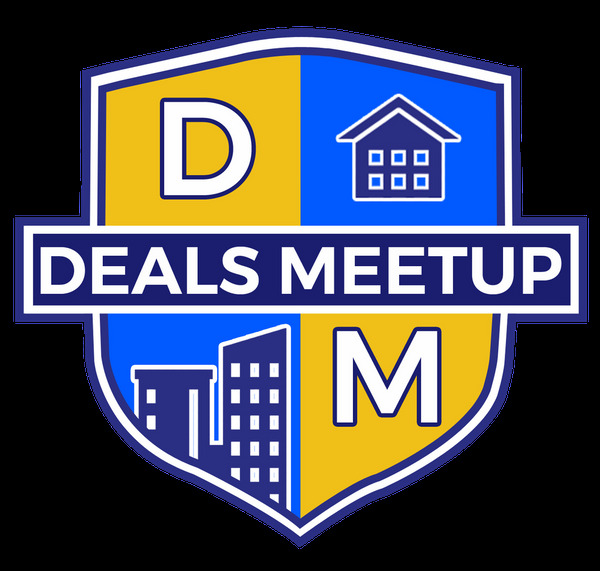 The answers to your questions will definitely be in our DEALS MEETUP. ** Want FREE Drinks at Happy Hour while you meet our Power Team? After 7 years of being asked by many of you to sponsor the Deals Meetup, the time has finally come. You and your business can now sponsor the Deals Meetup to grow your business with the only real estate meetup in the DMV that is ALL ABOUT DEALS. This is a great event to network, find deals, find private money, partner on deals, discover how to do deals, etc. What's Slowing Down the Construction industry?